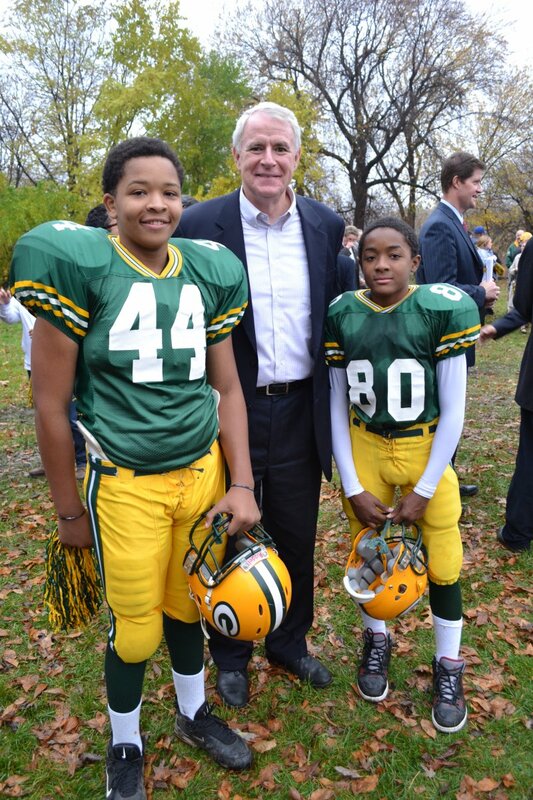 Soon to be Packer starters, Kejuwan and Earl, meet Mayor Barrett. Photo by Grace Fuhr, taken October 23rd, 2012. All Rights Reserved.